ELON, N.C. – Elon scored five runs in the bottom of the fifth to break open a close game and the Phoenix went on to defeat Delaware, 8-3, Sunday afternoon at the Hunt Softball Park in the rubber game of the teams’ weekend series. Elon (23-16-1, 7-5 CAA) opening the scoring in the bottom of the first inning when Erica Serafini doubled and scored on a single up the middle by Megan White. 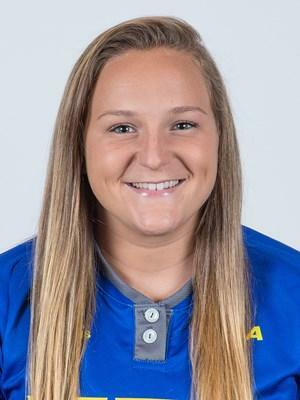 The Blue Hens (18-22, 4-8 CAA) quickly pulled even in the top of the second as Brittney Mendoza led off with an infield single and eventually scored when Ali Davis ripped a two-out RBI single to leftfield. White doubled and scored on a Callie Horn single to give the Phoenix the lead for good in the bottom of the fourth, before Elon put the game away with five runs the following frame. Horn delivered a two-run single to ignite the rally, before Lauryn Clarke drove home a pair with a double and Keagan Goldwait added an RBI single. Morgan Reich scored Elon’s final run in the sixth when she crossed the plate on a groundout by White. Delaware got two runs back in the top of the seventh when Hanna Garber and Halle Kisamore each walked before Brooke Glanden (Lake Forest) ripped a two-run double to rightcenter. Glanden finished 2 for 4 at the plate for Delaware while Garber, Kisamore, Mendoza, Davis and Karolina Flores added a hit apiece.